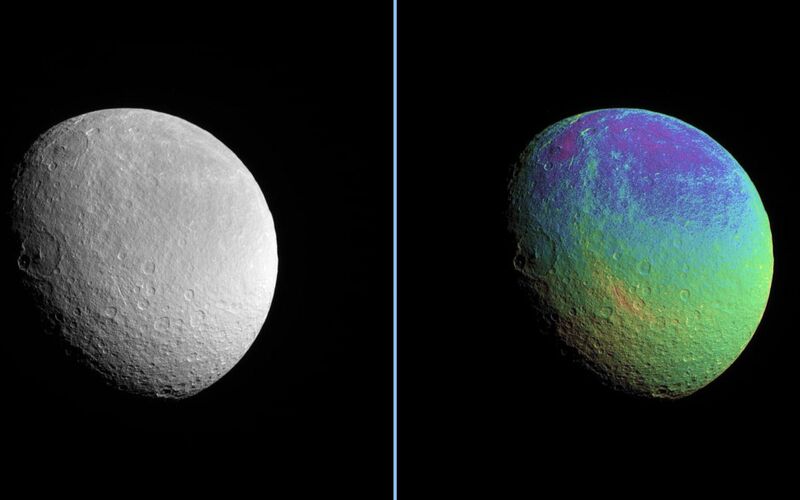 Rhea displays a marked color contrast from north to south that is particularly easy to see in the extreme color-enhanced Cassini spacecraft view presented here. 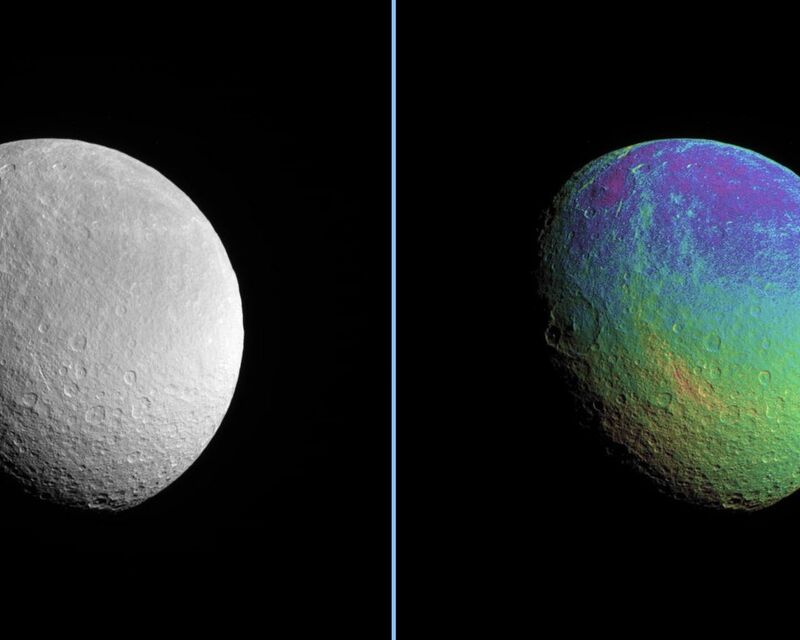 A clear filter image is also presented (left) alongside the color composite (right). 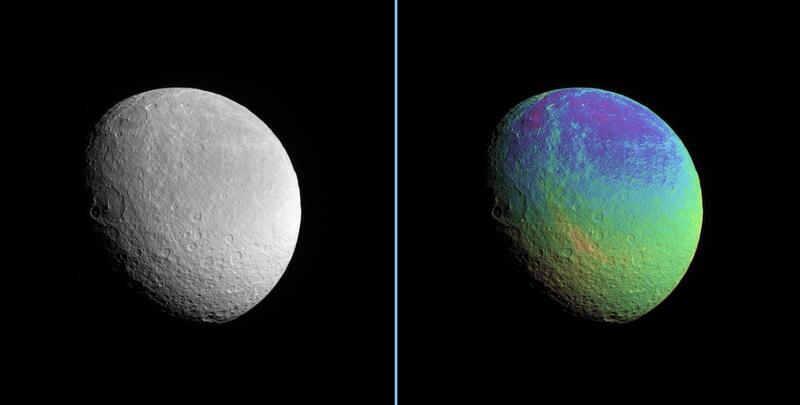 The combination of color map and brightness image shows how colors vary across the surface of Rhea. 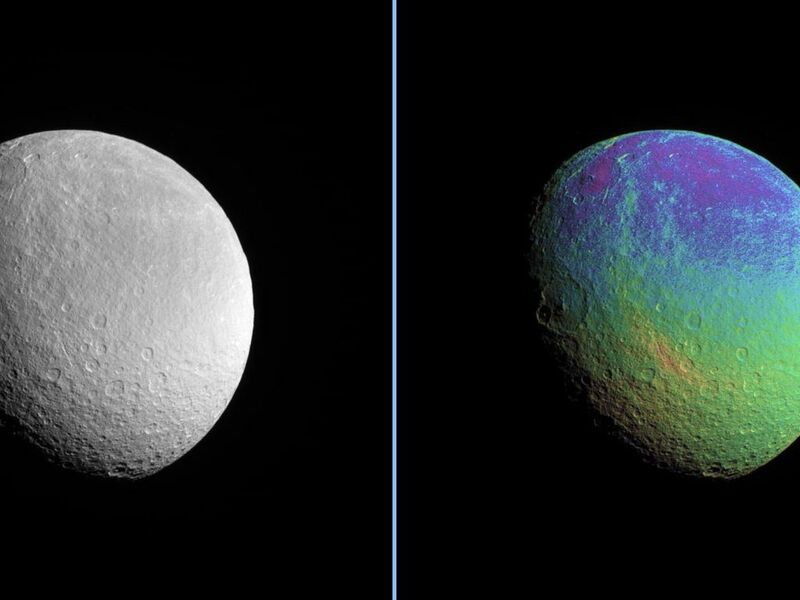 The origin of the color differences is not yet understood, but may be caused by subtle differences in the surface composition or the sizes of grains making up the icy surface material. This view looks toward the trailing hemisphere on Rhea (1,528 kilometers, or 949 miles across). The view shows southerly latitudes on Rhea, down to the south pole. North is up and rotated 17 degrees to the right. The image was taken in visible light with the Cassini spacecraft narrow-angle camera on Jan. 17, 2007 at a distance of approximately 457,000 kilometers (284,000 miles) from Rhea. Image scale is 3 kilometers (2 miles) per pixel.